There are times when it would be ideal to show different fields or sections on a page based on field data. For example, if a field for "software interest" is selected on a lead page, it would be nice if a section and/or fields related to capturing more information on "Software" is displayed. If the field is not selected, then this section and/or fields remain hidden. Allowing greater customization on the page level based on data rules would make for more manageable and targeted page layouts. 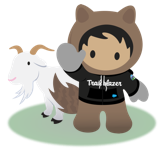 Hi, for those who weren't able to join us this week at Dreamforce, we announced a new series that aims to provide transparency into what's happening with our top ideas. We will be working our way through the top 25 for a detailed look at their status, starting with the work happening around dependent page layouts. Overall, our goal as we reimagine the IdeaExchange is to rebuild trust with our community, and that starts with honesty and transparency. I welcome feedback on how we improve that dialogue, and of course how we can design an experience that better meets your needs. Find me here, or on Twitter [@jennyst0]. @jennifer sacks so where is the update? It's been 7 months in development, was demo'd at Dreamforce, why is there no update on what is going to be the biggest improvement to Lightning since it's release? I hope people who come to this page continue to up-vote despite Salesforce's comment from 7 months ago, and not just assuming it will be delivered soon. Let's keep the pressure on. 12 years is too long already! 7 months since the last update. Can anyone provide an update on when we can expect this in production? Maybe this should be its own idea, but I think it falls into this - it would be great to have data rules for required page layout fields, like "only required for new records created after X date" or "only required for open opportunities." Validation rules are so over the top for this, and can frustrate users with the lack of transparency that they're going to fire. Would be great to just have a little more control over where that red asterisk shows up! very keen to see this. Hi Jennifer, and updates on this as it's been six months ad I dod not see any updates on the blog? Having these new features would be a great help to facilitate user adoption for our lightning conversion. Thanks. In the blog article Jennifer shared, it says that some customers are trying this out as part of a beta. How can we join this? This would be great, especially for a way of making "mini" page layouts based on other field updates. For me, I'd like to be able to easily show a quoted value in place of a predicted value (which is separate from Amount) if the quoted value is greater than zero.